When a squad of federal agents burst through her parents' front door, Victoria Fedden felt ill-prepared to meet them: She was weeks away from her due date, and her T-shirt wasn't long enough to hide her maternity undies. As for the question of how to raise a child when you've just discovered that your mother and stepfather have allegedly masterminded a pump-and-dump scheme? She was pretty sure that wasn't covered in What to Expect When You're Expecting-and she really hoped that Bradford Cohen, the noted criminal defense attorney who famously waived his exemption on The Apprentice, would prove them innocent. 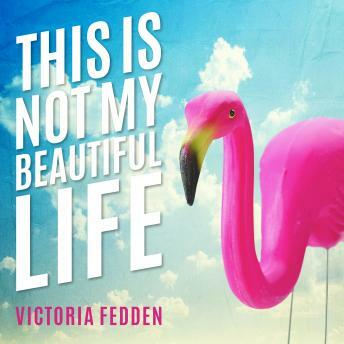 This Is Not My Beautiful Life is the story of how Victoria lost her parents to prison and nearly lost her mind. No one ever said motherhood would be easy, but as she struggles to change diapers, install car seats, and find the right drop-off line at preschool-no easy task when each one is named for a stage in the life cycle of a butterfly-she's also forced to ask herself whether a jumpsuit might actually complement her mom's platinum-blonde extensions and fend off the cast of shady, stranger-than-fiction characters who populated her parents' world.